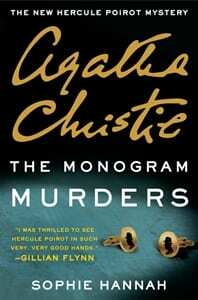 Blog Book Tour | “The Monogram Murders” by Sophie Hannah, the next #Poirot #cosy authorised by the Christie estate! I was selected to be a tour stop on the “The Monogram Murders” virtual book tour through TLC Book Tours. I received a complimentary copy of the book direct from the publisher William Morrow, in exchange for an honest review. 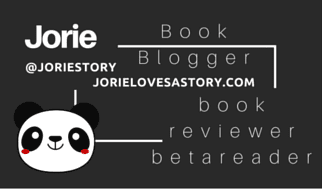 This is the first blog tour whereupon a book I was scheduled to review underwent an ’embargo’ and this led me to realising something about the book industry I hadn’t yet known about beforehand! Certain books have a high expectation of popularity by readers around the time of release, and this is when publishers initiate an ’embargo’ on the book, to hug the reviews & criticisms of a release closer to or shortly after the release date. 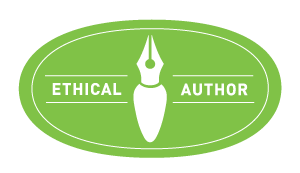 My journey as a book blogger is constantly expanding my understanding & knowledge of the inter-workings of the publishing industry; for which I am keenly aware and always full of gratitude. I did not receive compensation for my opinions or thoughts shared herein. It is quite curious re-entering a world of Agatha Christie after spending a near full-life away from the pages of her collective works, as I recollect the first time I had sat down with her stories I was quite a young girl. I always was piqued with a rapt fascination for sociological suspense and the mystery of crime. I spent a considerable amount of my elementary years wrapped up in the pages of a mystery of some shape or form; yet whilst I was still consuming Nancy Drew & Hardy Boy mysteries, I had a curious notion of expanding my world view of the genre. I was always a bit open with my leanings in literature with my parents, and imagine my plumb surprise in finding hardback editions of Agatha Christie as gifts the very same year I brought it to their attention I wanted something ‘a bit more I could chew on’ than the regular Nancy Drew? Nothing too mature mind you, but something with a bit more depth? Not that my parents would have given me anything overly brutal to read (as murder, wells, murder is murder you see!) but they knew the time had come along for me to read Christie all the same. Curling into The Monogram Murders felt as though time had stopped and picked up where I had left off during those curious years where my mind furrowed itself around the angst of the human psyche and the methodologies of investigators who elicited themselves fanciful to understand the criminal mind. I loved the intellectualism of the Christie’s novels and how her main characters were always rather charmingly observant. Keenly aware of their surroundings and picking up on the slightest detail — it is no wonder at all I would come to belove the mysteries of Columbo! I cut my teeth on this formative style of the craft by warming myself to Miss Marple; Poirot was always the odd duck out to me, as it would take a longer expanse of time for me to entertain his genius. I think perhaps it was due to the fact I had a close attachment to my great-grandmother and a healthy connection to my grandparents; Miss Marple simply fit into my family as though she were always meant to be there. Decades would go past before I would meet Mr. Monk (of the series Monk), Detective Goren (of the series Law & Order: Criminal Intent), Jesse Stone (of the series Jesse Stone), and Sherlock (of the BBC serial Sherlock) whose attributes extend out of my love of how Doyle and Christie curate their mysteries for the enlightenment of the reader. No, I had Columbo, Jessica Fletcher (of the series Murder, She Wrote) and the Harts (of the series Hart to Hart) to keep me satisfied outside of my Miss Marple stories. There are a heap of other television detectives and mysteries I have enjoyed over the years, but I was attempting to reveal the origins of my love for them rather than chronicle the entire circle of what I have admired. The electric excitement of being given a new collection of Marple stories or wondering what will befall next for all the lovely characters per each story I was beginning to read – there was a developed passion for Christie’s innate ability to draw out a measure of joy for psychological suspense that parlayed on the human condition and the joy of seeing justice win out over crime. The literary event of the year—an all-new mystery featuring Agatha Christie’s legendary hero Hercule Poirot. Inspired to Share: The music alone makes me feel as giddy as a Cheshire cat who has a secret needing to be shared as joy is always doubled when given freely to another! The graphic designer alone should be commended for giving us such a special treat! Oh, I dare not spoilt it for you, dear heart, you must ‘click!’ play & see for yourself! Yes, click – now! Before you read my ruminations of the story itself – champion the moment! Click! Note to Self: I must secure a British edition of this novel! I fancy the cover art to much not to find a way to acquire a hardback edition that sports it in all it’s glory! Lovely, most lovely I think! And, most decidedly ‘wicked’! Note on the Narrator: I found the rhythmic manner of voicing Poirot to be quite bang-on brilliant in this particular clip from Chapter 1! The manner in which I associated Poirot to ‘sound’ in my own mind’s eye comes across quite smashing as he is fully explored through the narrator’s voice and inclination towards bringing him forward through sound. I even liked how he elected to voice the secondary characters, and etched into this audiobook a tone of story that I felt myself was present all along in the print edition! How wicked it shall be one day to listen to the audiobook whilst re-reading the novel at the very same time! How electric! Champion! I hope you find the same felicity of joy in listening to this excerpt as I had myself! There is a signature of tradition with Agatha Christie novels, as they are the monarch butterfly of eloquence and excellence inside the Cosy Mystery genre – inflecting such a deeply etched prominence as to become beloved by each reader who soaks into her collective works. I, for one, have already revealed how much I am deeply attached to her canon, yet if I were to draw any measure of concern about this after canon prior to reading it, it would have been the same concern I voiced on behalf of Sherlock Holmes. I only wanted to seek out a writer who not only understood the full scope of the written voice of the original writer but could carry forward the principle character in such a way as to be a mirror of reflection infused with new insight, curiosity, and probable continuity. I am a particular reader of ‘after canons’ as I soak inside certain authors tomes of creative voice outside the original texts yet I shirk away from others. To me, it is simply a question of how I feel whilst I alight in the next continuance of the story that has already formulated such a stronghold in my conscience and heart. There are story-tellers who endear us at such a young age (for me this echoes my passion for Christie) they transform our reasoning to attach ourselves to someone who comes along next. Reading is such a unique sensory experience – we become tangibly connected through the book held in our hands, we viscerally insert ourselves into the footprints of the characters, and we envision the writer’s legacy as the words lift off the page and play out through our imaginations. To me to be passionately connected to the craft of stories and to be open as a reader to encourage new voices to step forward from a generation outside of the original era of the canon, is what endeavours me forward as I wander through literature as a whole.